A number of my students have asked me about online privacy. Many of us, not only students, have not spent the necessary time to read and research the privacy policies of the major online social media and e-commerce websites, much less to understand the implications they face with the current state of online privacy. It is time consuming, complicated and riddled with legalese. Even if you spent the time, you probably wouldn’t understand it, so why bother? 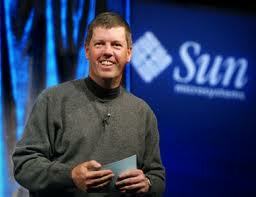 Scott McNealy, the founder and former CEO of Sun Microsystems (now owned by Oracle), is perhaps most famous for one quote. This amusing anecdote is not so funny if you consider that is pretty close to what is happening to all of us when we visit online social media websites, or e-commerce sites. We feel comfortable and relatively safe on well-known websites, not realizing that our BMW has been stolen by that nice gentleman with “valet parking.” This loss of personal privacy is very real and very immediate for all of us. We know very little about the details of the personal information that has been extracted from us, how it is managed, how it is used, and with whom it is shared, and how much money has been paid for it. Perhaps we deserve a cut? We do know that more information has been gathered on the Internet in the last two years, than in all of the previous years combined. It is beyond terabytes. It is multiple zetabytes of information and growing exponentially. The world of Big Data, for better or worse, will be built on this massive pile of personal data. Silicon Valley’s social media industry is fighting privacy advocates over proposed California legislation, the first of its kind in the nation, that would require companies like Facebook Inc. and Google Inc. to disclose to users the personal data they have collected and with whom they have shared it. Bonnie Lowenthal, a Democratic California assemblywoman from Long Beach (my native home town) has introduced this legislation, the “Right to Know Act.” What is disturbing and surprising is that the bill has caused a massive backlash against it, though it is asking for simple transparency, similar to that required for credit reporting. Google and Facebook are conspicuously silent on the “Right to Know Act,” preferring to let their industry association and unknown lobbyists speak for them. The industry backlash against the “Right to Know Act”. It would make Internet companies, upon request, share with Californians personal information they have collected—including buying habits, physical location and sexual orientation—and what they have passed on to third parties such as marketing companies, app makers and other companies that collect and sell data. Why are the Internet companies fighting this simple transparency so vigorously? Google formerly trumpeted that it’s corporate watch phrase was to “do no evil.” The industry backlash against Ms. Lowenthal’s legislation does not feel like doing no evil. The bill highlights how lawmakers are seeking to update privacy laws. An update of a 10-year-old law focused on the direct-marketing industry, the bill could have national impact because of California’s size, and it would bring the state’s privacy practices closer to those common in Europe. I will continue to monitor this issue and report on it as it develops. Thanks David, it’s always a pleasure to benefit from your analytical evaluation of complex and complicated issues that you undertake by taxing your mind to the extent that most of us shun.